Want to live longer? Play tennis!! 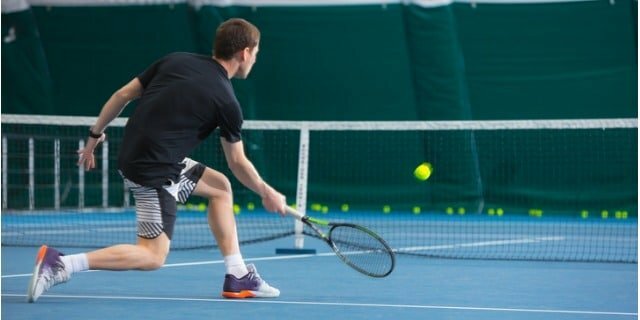 Scientists who studied tennis players over a long period of time were surprised by the results! They said that sports that require 2 or more people and involve social interaction will help with longevity. Just belonging to a group that meets regularly can leave players feeling trust, support, and a common liking that contributes to a sense of well- being. Another attribute in tennis that could lead to a longer life is the type of exercise you are doing. Short bursts of energy instead of slow, steady exercise can be more advantageous in the long run. Never played tennis before? Looking to improve your game? No worries. TCR has adult group clinics available throughout the week, including beginner-specific ones through intermediate. This way you can work on your strokes and strategies with other players of a similar level. Cardio tennis is another great alternative on Wednesday nights and Friday mornings – it combines lots of hitting with a good aerobic workout. Private lessons are also an option for personal one-on-one attention. You can also come to our facility and pay to play with a friend! So come find out why people of all ages love this sport – all you need is a pair of sneakers! Email or call Wendy at 718-796-9099 or [email protected] for more information. P.S. If you need a racquet, we have plenty that you can “demo”…including the hot new Wilson Clash racquet that is getting a lot of buzz, for good reason! Try it for yourself.